Metal roofing is an excellent choice for property owners and managers that are looking for a roofing system that will last a long time. Of all the recent commercial roofs installed in recent years, research has shown that over half of them are metal. This means that commercial metal roof repair and restoration will be in high demand by these property owners in the future. When making a choice for your roof, a good option might be a white metal roofing system. This is a type of “cool roof” that government agencies are encouraging property owners to install on their buildings. They work to reflect the sun’s rays and heat away from your property. This will put less stress on your HVAC systems. You might consider a white metal roof system when choosing to repair your roof. The EPA considers white metal roofing systems to be a “cool roof”. Cool roofs reflect a lot of the sun’s energy away from your building. Your heating and cooling systems will be less stressed. More and more, contractors and architects are choosing these types of roofs for their energy saving properties. They also offer buildings they are installed upon a clean, architectural look with excellent curb appeal. Expansion and contraction from extreme weather changes will occur. This will cause the fasteners and screws to begin leaking because of the stress put upon them. Another big cause of leaks in metal roofing systems is at the ends and side laps of the metal panels. Gaps are created as the caulking or tape seals shrink. Another issue is rusting thats caused by pooling or standing water on the roof. Imagine this – a metal roof that will last for years with no more concern about rusting or leaking, providing you with energy savings along the way. As budgets allow, since replacement is an expensive proposition, repairs can be completed to keep the roof viable until the right time. A consistent maintenance plan is the best way to increase the lifespan of any commercial roof. Before small repairs turn into large ones, we offer annual maintenance plans including inspections to handle the ongoing issues. In totality, when you consider all the positives – the long lifespan, the energy savings, the durability, the environmental contributions – even though they are initially more expensive, over time a standing seam metal roofing system is an optimal choice. Instead of using traditional panels purchased and shipped from a manufacturer, sheets and panels can be formed on site. This works especially well for larger industrial and commercial buildings. Since they are cut and formed to exact lengths and installed without horizontal lap joints, it allows for better quality and control over the project. Metal roofing systems are not perfect, just like anything else. Avoiding their deficiencies and shortcomings is not difficult. Expense – Upfront, they cost more money than other systems at $200 to $500 per square, But if you have a long term plan for your building, due to the features mentioned before, you will experience an excellent ROI. Noise Amplification – soundproofing insulation may be needed to mitigate the sound of hard, driving rain or hail on your metal roof. Denting – Hail can cause the surface of a metal roof to be dinged and dented. There are coatings that can be applied that will minimize both denting and marks from someone walking on the roof. Slickness – They will work well to help organic materials and water to slide easily off, but if someone walks on it, they need to be careful. Textures can be included in the materials that can change the architectural look and it more solid to walk on. 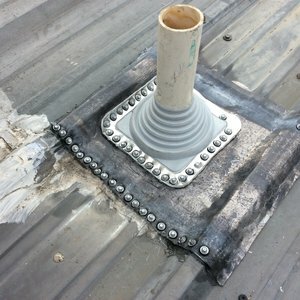 You can install it over the existing roof. Insulation can be installed with it. 40 to 50 year lifespans. Solar panels easily installed on it. Single ply or built-up systems can’t compete with a metal roof’s lifespan. Studies have found that they will last up to 40 or 50 years – as much as twice as long as other systems. The maintenance required on a metal roof is also a big plus, with much less required compared to other systems over their useful life. The research indicated that the life expectancy for metal roofing systems can be as long as 40 years – more than double that of the other roofing systems. 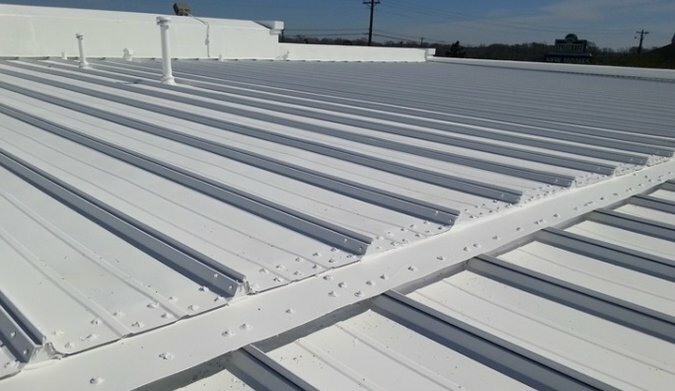 Taurus Elite Commercial Roof Systems, 512-332-4422, is a commercial roofing contractor based in Austin, Texas, and specializing in commercial metal roof repair, commercial metal roof restoration and commercial metal roof services in the Austin Texas area for the last two decades. When you need someone with experience that you can trust regarding your commercial metal roofing options, call us.